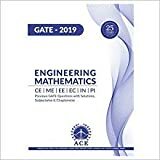 “What was the qualifying cut-off marks for previous years in GATE exam for ME ? 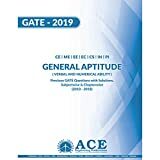 What was the qualifying cut-off marks for GATE 2018 ? Candidates who have appeared for the Mechanical Engineering Paper in GATE 2018 examination can check the minimum GATE scores required for admissions to the M.Tech courses in Mechanical Engineering as well as PSUs selection for the year 2018 from the table given below. The Cut-off for ME for GATE is the minimum score required for the M.Tech admissions as well as for PSUs selection. Factors which decides the GATE exam Cut-offs are the previous year cut-offs, difficulty levels of the GATE Paper, number of applicants etc. The GATE Cut-offs for ME will be available on this page as soon as it is announced by GATE organizing institute every year.